The first ever Ultimate Fighting Championship (UFC) women’s featherweight champion will be crowned later tonight (Sat., Feb. 11, 2017) at UFC 208 live on pay-per-view (PPV) from inside Barclays Center in Brooklyn, New York, as Holly Holm squares off against Germaine de Randamie. Both fighters defected from the UFC women’s bantamweight faction and are easily two of the more accomplished strikers in the sport today. Their matchup will serve as the PPV main event and an entertaining reminder that we are just scratching the surface on women’s mixed martial arts (MMA). 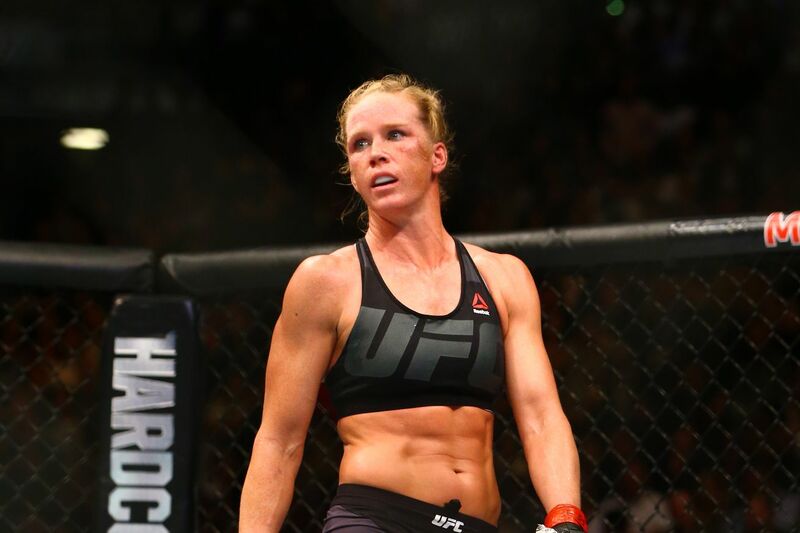 But when we scale back and look at the two women involved, Holm is the one who attracts more interest. It isn’t due to her looks or ability to promote herself as the “nice girl,” but instead the up-and-down journey she has experienced over the past two years. Remember, Holm defeated Ronda Rousey just 15 months ago to earn the women’s 135-pound title. She did so in dramatic fashion, but turned that knockout victory into two-straight defeats, losing her title to Miesha Tate at UFC 196 via submission and then dropping a unanimous decision to Valentina Shevchenko back in July. As Holm steps inside of Octagon tonight opposite “Iron Lady,” she will be in search of her first win since 2015. That sense of urgency will force Holm to hand in her best performance of her career at UFC 208. She has an opportunity at hand to join a small group of UFC champions who have captured titles in two separate weight classes. While the women’s featherweight division is in a current state of mystery, Holm will be competing at 145 pounds for the first time in her MMA career. The 35-year-old will be taking on bigger competition and stronger foe en route to regaining any momentum she lost in 2016. For that, Holm is our “Fighter to Watch” tonight in Brooklyn. Her ability to deliver world-class striking inside of the Octagon will attract fight fans of all shapes and sizes when the PPV door opens at 10:00 pm ET. It should be noted that “The Preacher’s Daughter” struggled to find her groove last time she fought a decorated striker (Shevchenko), which means she’ll have to be at her best to take out de Randamie. MMAmania.com will deliver LIVE round-by-round, blow-by-blow coverage of the entire UFC 208 fight card, starting with the Fight Pass “Prelims” matches online, which are scheduled to begin at 7:30 p.m. ET, and then the remaining undercard balance on FOX Sports 1 at 8 p.m. ET, before the main card start time at 10 p.m. ET on PPV.